Advertising is everywhere and for companies that produce basketball footwear, the biggest billboard ever is the NBA. And no endorser can do the job of selling basketball shoes better than a star player who balls in the most watched basketball league in the world. The shoe trade is no easy business, as indicated by the failed attempt of Dada Footwear to make it big in the NBA by the signing volatile Latrell Sprewell and even the dependable Chris Webber. Baron Davis also had his fair share of basketball shoe engagements that went kaput with Li-Ning. So did Patrick Ewing and his Ewing Athletics. 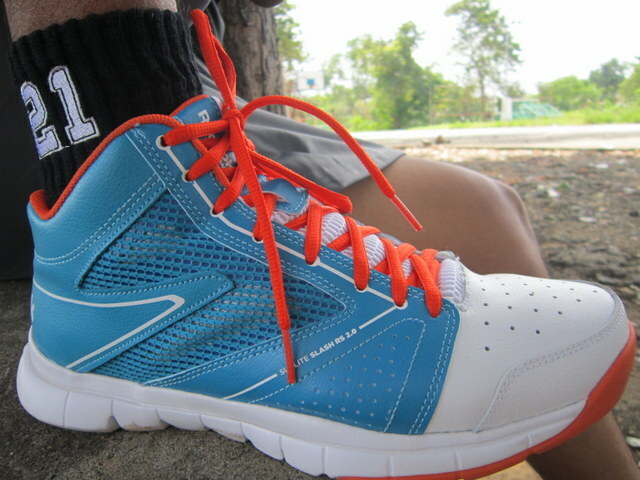 Basketball players view a shoe deal as a sign of their star power and influence. The more expensive the offer is, the more it indicates a player’s popularity. The more it also reveals the faith of footwear companies in them to at least get their brands noticed. 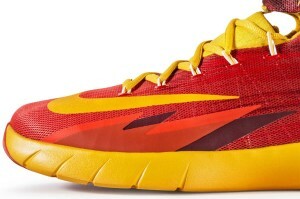 And in the NBA, nothing beats a very generous footwear contract than a signature line. 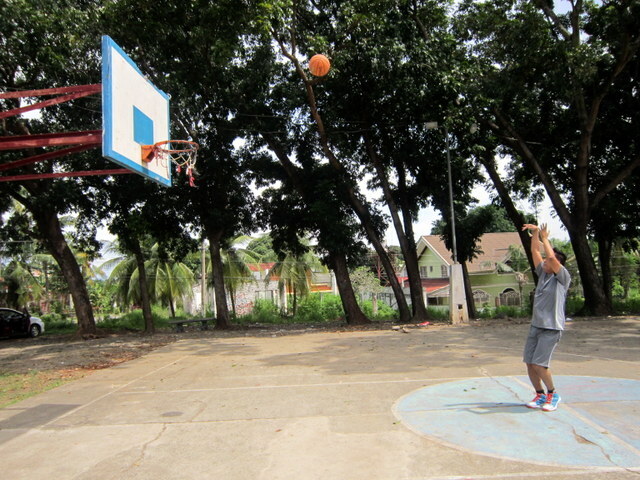 Shoes that bear a baller’s name is every baller’s dream, aside from winning the championship and nabbing the MVP honors. Just take a look at Michael Jordan and the Air Jordan signature line. Or Kobe. Or LeBron. But there are certain deals in the shoe business that leave a lot of people wondering and scratching their heads. For instance, Vince Carter once had a lucrative contract with Puma but decided to drop the brand and wore a pair of And1′s before signing with Nike. But who has the most biggest shoe contract in the NBA today? Well, let’s start from the bottom. He does not have his own signature shoe, but if Russell Westbrook was chosen by the Jordan Brand, then there is no reason why he won’t have one. It is as if Michael Jordan himself has given Westbrook his vote of confidence to represent his product to the world. In time, and if the conditions are right, Westbrook will certainly get more than $1.5 million per annum. New York Knicks signed Amare Stoudemire to a $20-million contract, but it looks like the team is not getting the acceptable bang for their buck. Stoudemire has been sidelined for most of his time with the Knicks due to injuries and has not been an impact player he was once touted to be. But sales of his Air Max Hyperposite in the black-orange colorway has been up, making him an asset for The Swoosh. CP3′s first shoe contract only amounted to $600,000 a year but that has significantly changed. It has been rumored that a future deal amounting to around $20 million a year is already in the works. With the positive sales of the CP3 series, then it is only a matter of time before rumor becomes a reality for the young LA Clippers guard. Almost 10 years ago, Carmelo Anthony inked a 3-million a year deal with Jordan. And almost 10 years after, Carmelo Anthony of the New York Knicks never parted with the Michael Jordan-owned venture, even if his signature line is not as popular as Kobe Bryant’s and LeBron James’. Still, selling shoes for an average of $40 million a year is no easy feat, especially for someone who is ringless as Melo. Prior to playing professionally, John Wall signed a 5-year $25-million agreement with Reebok. Today, he is currently getting the same amount from Adidas, which also happens to be parent company of Reebok. There is no doubt that Wall’s popularity and influence will skyrocket in the future, and with that, a lucrative footwear deal is just another part of the equation. Despite his dominating figure in the NBA, being one of the highest scoring players in the league today and all, Kevin Durant’s signature line has proven to be difficult to sell as opposed to what others were hoping for. His $10-million yearly endorsement fees is significantly bigger than the sales of his shoes, an abysmal $7 million. Still, Nike pins their hope on Durant and plans to send him on marketing trips abroad. Adidas certainly has high hopes for Derrick Rose of the Chicago Bulls, whom they signed to a virtually lifetime contract of $14 million. It is a huge risk, especially with Rose out for the second consecutive season due to injuries. With Rose out from the game, Adidas is taking a huge leap of faith for this stellar point guard slash NBA MVP, whose health issues has been plaguing his very young career. From Adidas to Nike, Kobe Bryant is one of the few players who has found huge success after leaving a footwear giant for another footwear giant. In the United States alone, sales figures for the Kobe 8 has breached the $50-million mark. That still does not include the numbers coming in from other countries, particularly in China, where Nike has been very aggressive with their expansion efforts. Prior to entering the NBA, Nike already wooed LeBron James to a $90-million deal in seven years. Things have changed a lot since then. With two NBA championships under his belt, along with a string of other individual achievements, saying that James’ market value has grown would be an understatement. James’ shoes sell for a whopping $300 million for each year. How’s that for market value? Rankings provided by The Richest. The Reebok SubLite Slash RS 2.0 has been around the market for a while now but nobody has really made a big deal out of it. For one, it is from Reebok. The brand name is still recognizable in the athletic footwear industry but the basketball niche is totally dominated by Nike, with Adidas in very distant second. Two, it is not that popular of a shoe. Here’s an experiment: try searching for “Reebok SubLite Slash RS 2.0″ in Google and the only results you will get are probably related to other SubLite models. 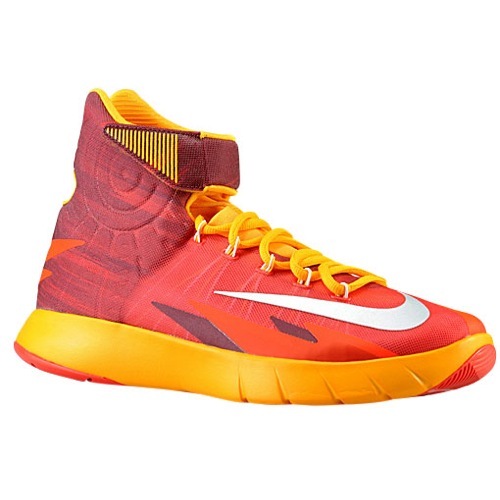 That being said, I find the shoes to be a great option for people who like to play basketball for recreational and semi-professional purposes, especially if you are looking for a pair that could perform well without compromising your budget. The Reebok Sublite Slash costs PhP 2,700 here in the Philippines (I specifically bought this pair from Olympic Village in Centrio Mall, CDO). And if you are conscious about the branding, the Reebok name is something you can place side by side with Nike, Adidas, and other leading footwear brands today. On that note, let’s check the kicks. Traction. I tested the Reebok Sublite Slash in an outdoor setting and I say the traction was excellent. I did some jab steps, curls, lateral movements, pops and stops, pushes, and what have yous to get a feel of how the shoes’ traction perform and I am very satisfied with the results. Unlike most traditional basketball shoes which employ herringbone patterns at the bottom, the Reebok Sublite Slash parades a wavy design. The bottom of the shoe features two sections where a hard layer of rubber is placed – at the heel and the forefoot. This method limits the use of traditional rubber to where there contact, pressure, and friction is mostly found. Cushioning. The Reebok Sublite Slash uses the Sublite Foam for cushioning in the midsole. The foam does provides adequate cushioning and impact absorption. While there is no bouncy feeling within the cushioning material of the shoe, it adds to the its overall responsiveness, enabling the wearer to make quick movements as compared to shoes that have some springy feel in their cushion. Materials. The upper is made predominantly of patent leather with mesh and padding integrated in the middle. If there is something I learned about shoes, patent leather is almost always equal to durability and longevity. Both of which I am positive the Reebok Sublite Slash can deliver. Ventilation. Aside from the mesh materials found on the sides and on the tongue of the shoe, there are also perforations found in the toe box area. All these help in allowing the heat to escape from within the shoe. But as far as air flow is concerned, I did not feel air coming in as compared to other performance shoes, especially those made with fuse materials. That said, I did not feel any heat on each shoe, which is the main thing. Fit. The fit is great. The shoe is true to size, which is what I prefer. The lockdown is great and the padding materials around the ankle area provide comfort and stability. 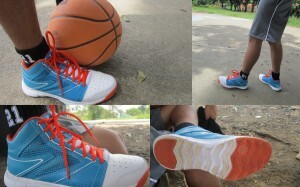 In conclusion, I find the Reebok SubLite Slash 2.0 a very comfortable and well-performing shoe. The only problem I had with it was the long break-in period. The first time I got to wear the shoe, I didn’t even feel like walking because the shoe, particularly the bottom part, was stiff. But that is normal and after a couple of times of wearing them, the shoes finally loosened up and I am now having a good time hooping in them. 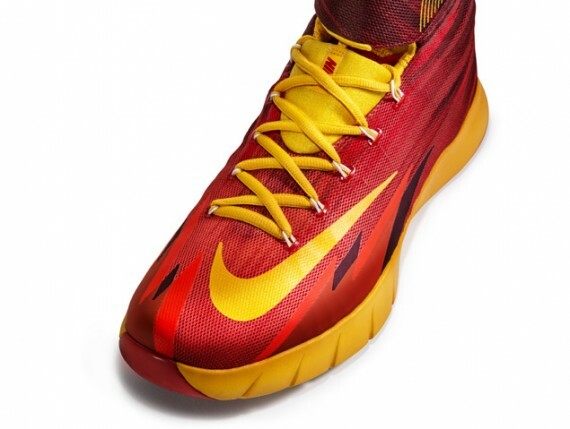 This writer has not yet provided his initial thoughts on the new Nike Zoom HyperRev. Although this writer thinks that the HyperRev is truly a good shoe in terms of weight, comfort, fit, and breathability, it should be pointed out that the author thinks that the HyperRev’s design offers little ankle support. 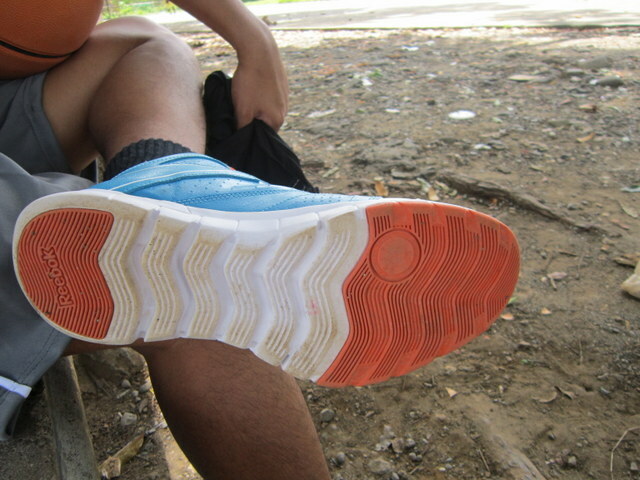 The whole upper of the shoe is made mostly of mesh. Although there are sections of the shoes that are integrated with pieces to promote stability and support, the HyperRevs’ lockdown system seems to be inadequate in giving the wearer optimum ankle support. This leaves the player to be almost totally dependent on his own body strength to keep his feet locked to the foot bed of the shoe. To put it simply, the Nike HyperRev is a pair of glorified socks, which can be a good thing or bad thing depending on your interpretation. 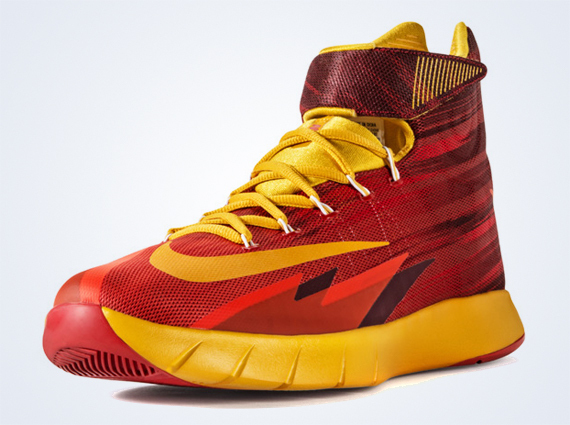 Check out the images of the Nike Zoom HyperRev below. This writer thinks it was bad, though, for DeMarcus Cousins. In Sacramento Kings’ recent game against the Houston Rockets, Cousins grabbed a defensive rebound off a Jeremy Lin’s missed layup and coasted end to end. After zigzagging his way through Rockets’ transition defense, Cousins rolled his left ankle and put a great deal of weight on it. Nightwing2303 of KicksonCourt.com says that the accident was caused by the contact of Cousin’s left foot with Lin’s as the latter tried to put some defense. That said, Nightwing2303 mentioned that the HyperRevs are clearly not for those with ankle problems and should probably get Ektio instead.